An energising body wash enriched with Orange Blossom, Juniper and Bergamot to gently cleanse, energise and refresh body & mind. A refreshing and energising aromatherapy blend. Energise your body & mind with this fresh, aromatic, sulfate free & soap free body wash. Enriched with Orange Blossom, Juniper Berries, Bergamot and botanical cleansers, this pH balanced body wash leaves skin feeling cleansed and refreshed. 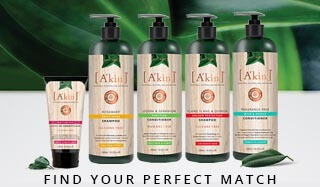 All A'kin Body Washes are pH balanced and grey water safe. 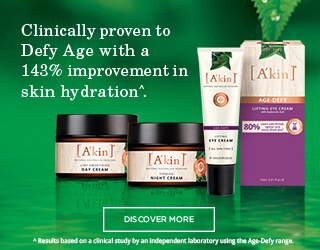 Free from soap, parabens and sulfates. Apply a generous amount to hands or sponge and lather all over body. Can also be used as a fragrant and natural bath soak. Water (Aqua), Cocamidopropyl Hydroxysultaine*, Sodium Lauroyl Sarcosinate*, Sodium Lauryl Sulfoacetate*, Disodium Cocoamphodiacetate*, Lauryl Glucoside*, Glyceryl Laurate*, Glycerin*, Sorbitol*, Citric Acid*, Sodium Citrate*, Sodium Gluconate*#, Citrus Aurantium Amara (Bitter Orange) Leaf/Twig Oil*, Citrus Aurantium Bergamia (Bergamot) Fruit Oil*, Citrus Aurantium Dulcis (Orange) Peel Oil*, Citrus Nobilis (Mandarin Orange) Peel Oil*, Juniperus Communis Fruit Oil*, Citrus Aurantium Amara (Bitter Orange) Flower Oil*, Sodium Hydroxymethylglycinate, Limonene^, Linalool^.